Published authors have achieved their success because of an unyielding dedication to the craft of writing. When it would have been far easier for these authors to quit, they didn't. They continued to send their work out. They became obsessed with achieving their publishing goal. This obsession was not just part of their plans for the year, it was their daily practice. By developing their own unique set of rules to obey and by sticking to these rules, they were able to transform themselves from writers, to authors. The variety in approach to their craft is part of what makes them unique as authors. But more importantly it sheds light on how they became successful in the first place. 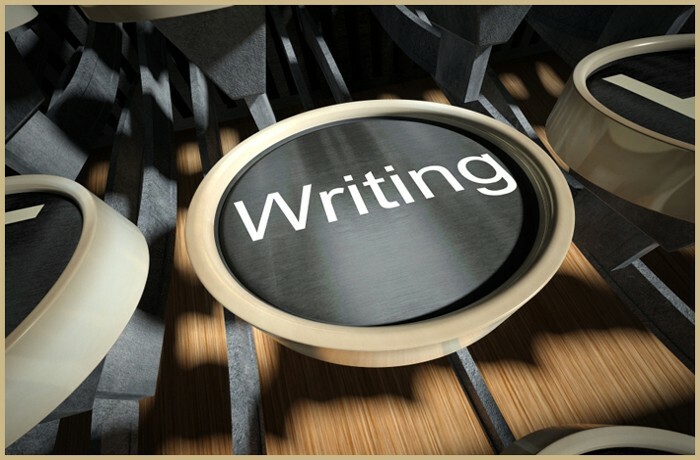 Consequently, their rules are a code of conduct on how to write that aspiring authors can learn from. As the careers of these authors progressed they shared their rules in writing advice books and interviews, which can be discovered in full by clicking on their name below. 2. If you do need to do research because parts of your story deal with things about which you know little or nothing, remember that word back. That’s where research belongs: as far in the background and the back story as you can get it. 3. While to write adverbs is human, to write ‘he said’ or ‘she said’ is divine. 4. Language does not always have to wear a tie and lace-up shoes. The object of fiction isn’t grammatical correctness but to make the reader welcome and then tell a story. 5. You have to read widely, constantly refining (and redefining) your own work as you do so. If you don’t have time to read, you don’t have the time (or the tools) to write. 6. Whether it’s a vignette of a single page or an epic trilogy, the work is always accomplished one word at a time. 8. One cannot imitate a writer’s approach to a particular genre, no matter how simple what the writer is doing may seem. 9. The first draft of a book—even a long one—should take no more than three months, the length of a season. 10. Writing isn’t about making money, getting famous, getting dates, getting laid, or making friends. In the end, it’s about enriching the lives of those who will read your work, and enriching your own life, as well. 1. Take a pencil to write with on aeroplanes. Pens leak. But if the pencil breaks, you can't sharpen it on the plane, because you can't take knives with you. Therefore: take two pencils. 4. If you're using a computer, always safeguard new text with a ­memory stick. 6. Hold the reader's attention. 8. Ask a reading friend or two to look at it before you give it to anyone in the publishing business. This friend should not be someone with whom you have a ­romantic relationship, unless you want to break up. 9. Don't sit down in the middle of the woods. If you're lost in the plot or blocked, retrace your steps to where you went wrong. Then take the other road. 10. Prayer might work. Or reading ­something else. 5. Write whatever way you like. Fiction is made of words on a page; reality is made of something else. It doesn't matter how "real" your story is, or how "made up": what matters is its necessity. 2. Start no more new books. 3. Dont be nervous. Work calmly, joyously, recklessly on whatever is in hand. 5. When you cant create you can work. 8. Dont be a draught-horse! Work with pleasure only. 9. Forget the books you want to write. Think only of the book you are writing. 10. Write first and always. Painting, music, friends, cinema, all these come afterwards. 2. Read Becoming a Writer by Dorothea Brande. Then do what it says, including the tasks you think are impossible. 3. Write a book you'd like to read. Don't write for a perceived audience or market. It may well have vanished by the time your book's ready. 7. Concentrate your narrative energy on the point of change. When your character is new to a place, that's the point to step back and fill in the details of their world. 8. Description must work for its place. It can't be simply ornamental. It ­usually works best if it has a human element. 9. If you get stuck, get away from your desk. 10. Be ready for anything. Each new story has different demands and may throw up reasons to break these and all other rules. 2. Fiction that isn't an author's personal adventure into the frightening or the unknown isn't worth writing for anything but money. 3. Never use the word "then" as a ­conjunction – we have "and" for this purpose. Substituting "then" is the lazy or tone-deaf writer's non-solution to the problem of too many "ands" on the page. 6. The most purely autobiographical ­fiction requires pure invention. 8. It's doubtful that anyone with an internet connection at his workplace is writing good fiction. 1. Submissive to everything, open, listening. 2. Be in love with your life. 3. Write what you want bottomless from bottom of the mind. 4. Remove literary, grammatical and syntactical inhibition. 5. Telling the true story of the world in interior monologue. 6. Write in recollection and amazement for yourself. 8. Don't think of words when you stop but to see picture better. 9. Keep track of every day the date emblazoned in your morning. 10. Write for the world to read and see your exact pictures of it. 1. Have humility. More ­experienced writers may offer rules and varieties of advice. ­Consider what they say. However, don't automatically give them charge of your brain, or anything else. 2. You don't know the limits of your own abilities. If you keep pushing beyond yourself, you will enrich your own life. 3. Defend others by writing in such a way that everyone keeps their privacy and dignity intact. 4. Defend your work. Individuals will often think they know best about your work. When you genuinely believe their decisions would damage your work – walk away. 7. Read. As much as you can. As deeply and widely and nourishingly and ­irritatingly as you can. 8. Be without fear. This is impossible, but let the small fears drive your rewriting and set aside the large ones ­until they behave. 1. Use the right word, not its second cousin. 2. Substitute damn every time you're inclined to write very; your editor will delete it and the writing will be just as it should be. 3. As to the Adjective: when in doubt, strike it out. 4. You need not expect to get your book right the first time. Go to work and revamp or rewrite it. 7. Get your facts first, and then you can distort them as much as you please. 8. Use plain, simple language, short words and brief sentences. Don't let fluff and flowers and verbosity creep in. 9. The time to begin writing is when you have finished it to your satisfaction. By that time you begin to clearly and logically perceive what it is that you really want to say. 10. Write without pay until somebody offers pay.